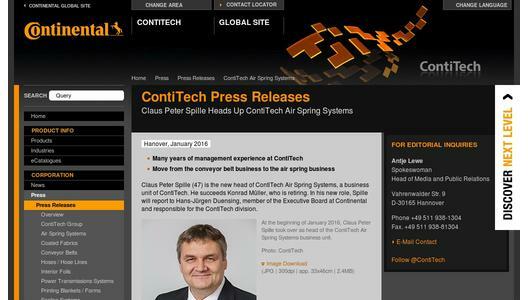 Claus Peter Spille (47) is the new head of ContiTech Air Spring Systems, a business unit of ContiTech. 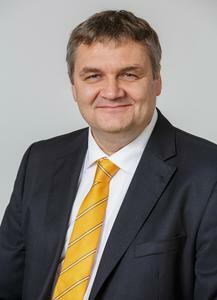 He succeeds Konrad Müller, who is retiring. 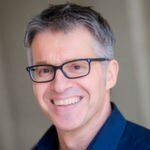 In his new role, Spille will report to Hans-Jürgen Duensing, member of the Executive Board at Continental and responsible for the ContiTech division. 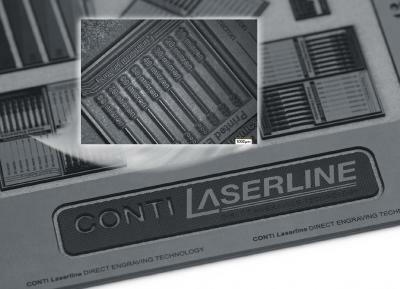 Spille has worked in the rubber industry since 1995 and has been active within the Continental Corporation since 2002. In this time, he has taken on a number of different leadership challenges within the ContiTech division including working in the Benecke-Kaliko business unit and the Power Transmission Group. 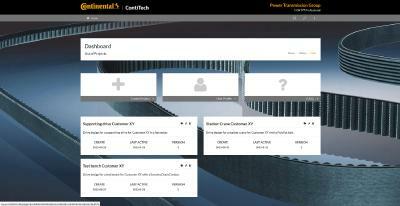 Most recently, he was head of the Mining World segment of the ContiTech Conveyor Belt Group for eight years. Spille is married, father to a grown-up son, and lives in Wedemark, near Hanover. ContiTech Air Spring Systems is one of ContiTech's nine specialist business units and a manufacturer of components and complete systems for self-adjusting air suspension in commercial vehicles, rail vehicles, stationary machines, and foundation bearings. Air actuators and rubber expansion joints are manufactured for plant and machine engineering. Around 1,700 employees currently work at its 10 production sites worldwide.